I recently read an interesting article in Velo Magazine over here and thought it might be an idea to test out my translating skills to produce a summary. In a week of less than stellar cycling news (Contador, Ullrich, Longo and a couple more) maybe we are in need of a hero. 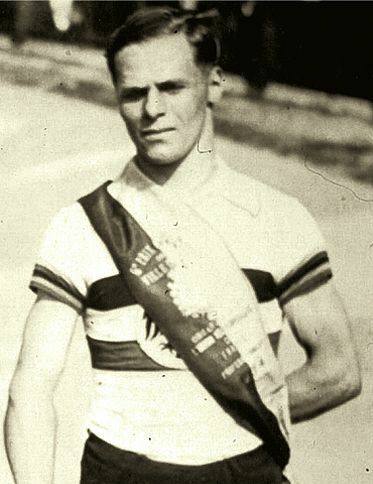 Albert Richter was one of the best sprinters in the world during the lead-up to WWII. He was a 3-time winner of the Paris Grand Prix, Amateur World Champion, 7-time champion of Germany, 4-time bronze medal winner in the World Championships and twice silver medalist. He was a strong, tall, handsome athlete with blond hair and blue eyes. In short, everything the Nazi regime could dream of for their propaganda machine. Only one problem. He hated Hitler and considered Nazi’s a ‘gang of criminals’. He also had a Jewish coach, Ernst Berliner, whom he stayed loyal to till the end. In 1933, after turning pro and feeling less and less at ease with the growing tide of Nazism in Germany, he emigrated to Paris, returning to Germany once in a while to visit his family and race. His coach, Berliner, stayed in Germany and was finding it more and more difficult to survive there. Because he was Jewish he was eventually prohibited from coaching and was the victim of intimidation and violence. Richter aided his coach by sending him winnings from races. The Nazi authorities were furious and considered this to be an affront to Hitler himself. Scenes like the one below probably didn’t help his case much. 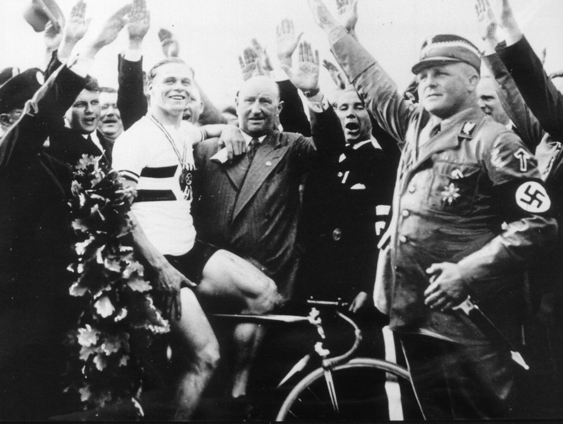 This is Richter, just having won the German Championships in Hanover, the only one in the photo not giving the Nazi salute. In December 1939, not long after the war began, Richter went to Germany and won the Grand Prix of Berlin. A few days later he was stopped and taken off a train at the Swiss border, smuggling money (in his tires) to another Jewish friend. One month later he was found dead in his cell, the Nazi press saying at first that he had died skiing in the Alps, then changing it to a suicide, reporting that Richter had become overcome with guilt at trying to aid a Jew. The death was never formally registered, so the truth is still unknown. 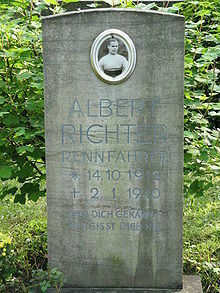 Albert Richter was 27 years old. Richter’s story, among others, is part of a special exhibition on sport during the Nazi regime at the Shoah Memorial in Paris, running till March 18th. 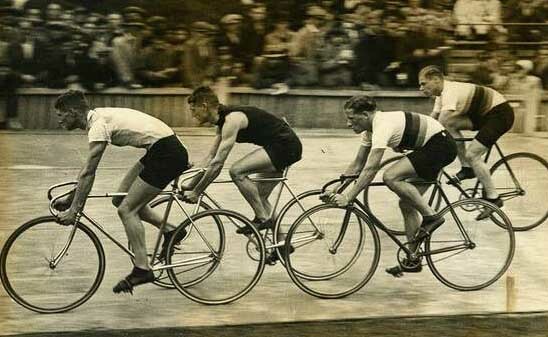 This entry was posted in Cycling and tagged albert richter. Bookmark the permalink. I’ll bet he was doping, but wartime deeds like his have a way of making things like amphetamines relative. Great summation of a very good story!! A side of Nazi Germany we never hear. I found it surprising that only one book (in German) has been written about him. Very interesting piece. The irony of a Jewish coach named Berliner is not lost on me. I have read a bit about Gino Bartali’s efforts to save Jews in Italy as well as smuggling money and messages to the Italian Resistance in his bicycle. They are both a nice contrast to this week’s headlines. I kept having to do a double take when running across Berliner’s name when I was reading the article. 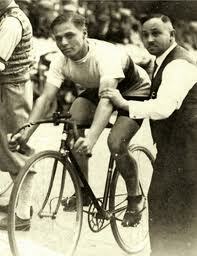 I’ve also read a tiny bit about the exploits of Bartali (and others) during the war, but must get more educated. You’re making Ireland look more and more attractive. Armstrong’s fiasco: agreed.